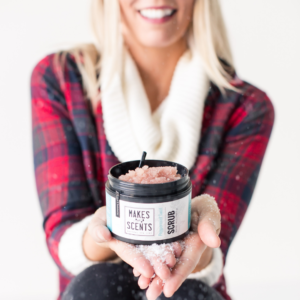 Makes Scents Natural Spa Line / 12 Days of Giveaways! IT’S TIME FOR OUR 12 DAYS OF GIVEAWAYS! It’s truly the most wonderful time of the year! And oh my do we have some awesome surprises in store this season! Check out our Facebook and Instagram pages starting Monday, December 10th for all the details. Each day, a new giveaway ($50 value and up) will be announced. We’ve also partnered with some amazing local businesses too, so our giveaways are even more spectacular! Our partners include: Nicole Taylor Boutique, The Fridge, Emerald Spring Spa, Lancaster Cupcake, Lemon Street Market, and Realm and Reason. Don’t forget to follow our pages and stop back Monday, December 10 – Friday, December 21 to enter to win one of twelve amazing giveaways! Official Giveaway Rules: Briefly tell us in the comments of each daily post (starting Monday, December 10, 2018) why you or someone in your life should be selected to win. Giveaways will be posted daily. Entries posted prior to midnight EST each day are eligible to win. Entries from Facebook and Instagram will be combined and a winner will be randomly selected. Winner will be announced the following day via the original giveaway post. Prizes will be shipped to the winners daily. Must be 18 years of age or older to enter/win. Contest is open to U.S. residents only. This promotion is in no way sponsored, endorsed or administered by, or associated with, Facebook or Instagram.